I don't really know where to begin when talking about skin care as I'm just learning about the whole "beauty thing" but these are a couple of products I've used for a long time now. I want to share them with you and my morning and night routine to cleansing your skin. Prepare yourselves! 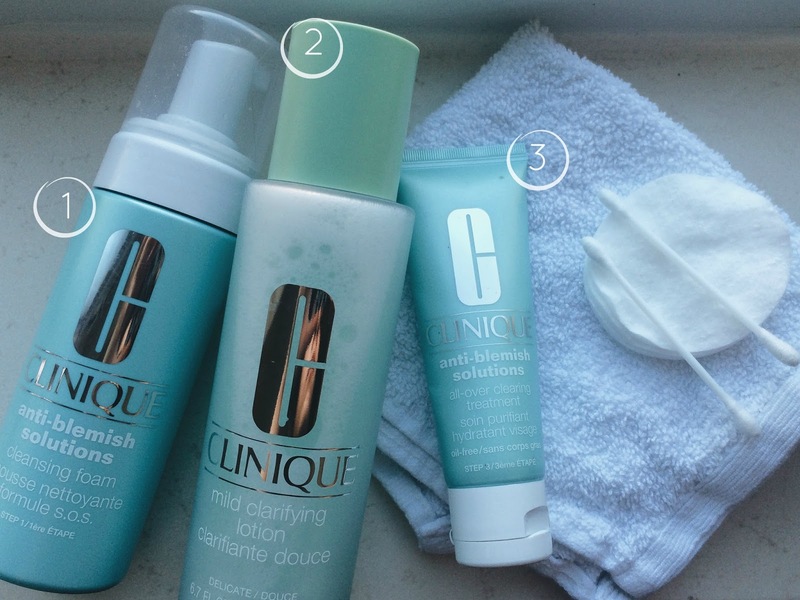 Step 1- First of all I use Clinique anti-blemish solutions cleansing foam. I put about one or two pumps of it in the palm of hand and lather my face and take a warm, wet flannel/muslin and gently wipe off. This just gives you a fresh wake up and gets rid of an excess makeup from the night before. Step 2- After I use the Clinique mild clarifying lotion. I use a small drop on to cotton pads as I gently wipe the pad around my face to smooth over my skin as it acts like a toner and gives your face the extra preparation for your skin. Step 3- Finally I take the Clinique anti-blemish solutions all over clearing treatment. I tend to use a small pea size blob, as a little goes a long way and I just take it and apply it to my face, moisturizing it and leaving my skin ready for the day ahead. After a busy day of probably wearing makeup, that has either rubbed off or the mascara has ended up down your cheeks it's always the best feeling taking off your make up and giving your face a good cleanse as you get settled for the night. Step 1- To take the bulk of my makeup off I use Simple Facial Wipes, which are amazing! I have very sensitive skin and these seem to be the only face wipes that don't cause my face aggravation. Step 2- I then use the same cleansing foam as I use in the morning just to get rid of any make up I still have left on as well as dirt and grime that gathers on my face during the day. I use the same process such as covering my face in the foam and washing it off with a hot, wet flannel. Step 3- And to end my routine if I have any spots / scarring. 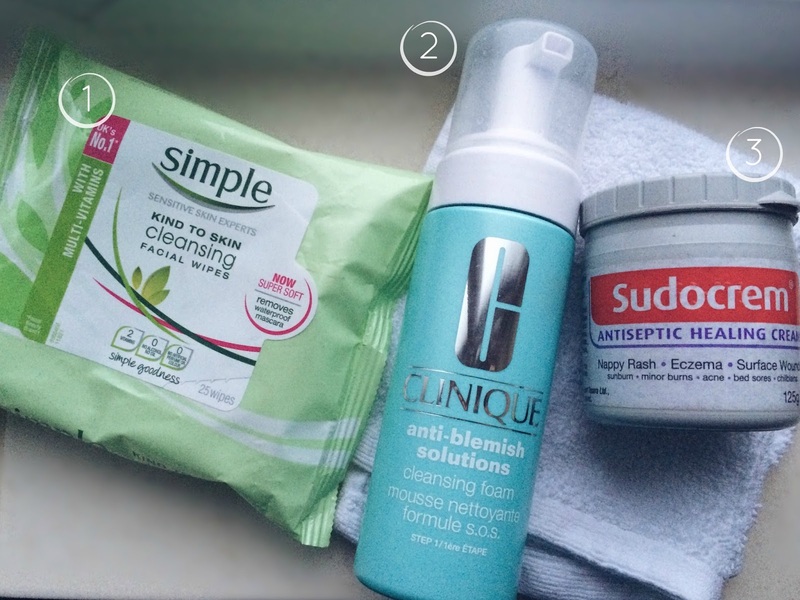 I use the good old trusty Sudocrem, which has always worked for myself as it helps heel the broken skin and blemishes on my face. That’s about it! 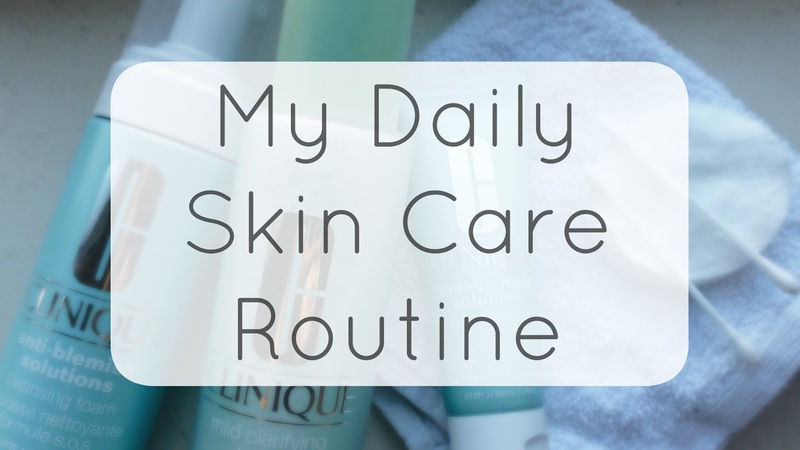 I hope you didn’t find this too information overload, but I feel like sharing skin care tips and routine really helpful especially if you're looking for new products. If you haven't already got a skin care routine, it’s actually pretty simple, once you get into the routine.